A bevy of river cruise itineraries have emerged to make Asia even more accessible to cruisers than before. This vast continent beckons exploration of the exotic, where temples peek through wild jungle landscapes and local cultures and traditions fascinate with their distinct sense of otherness. 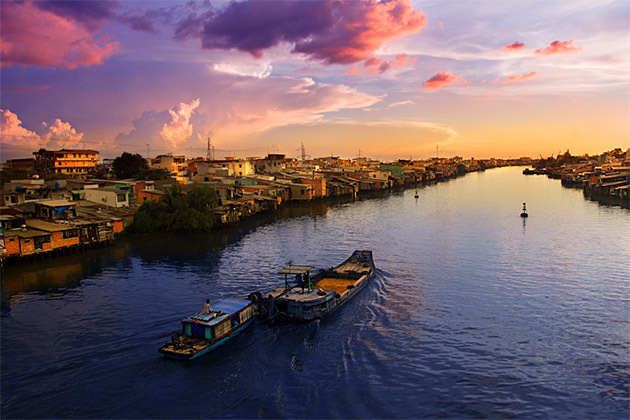 The big three for Asia's river cruise regions are the Yangtze in China, the Mekong in Vietnam and Cambodia, and the Irrawaddy in Myanmar, the latter of which has been gaining in popularity at breakneck speed. (While a few lines now offer sailings on the Ganges River in India, those have been left out of this article). River cruising in Asia rewards travelers with both seamless logistics and a sense of adventure, generally allowing for a more laid-back, hassle-free approach than that of land-based travel alone (though many Asian river cruises are packaged as part of comprehensive "cruisetours," which also incorporate hotel stays). Not only do travelers get a floating hotel that serves as a comfortable English-speaking home base and an unpack-just-once means of transport, but nearly all Asian river cruises bundle guided excursions into their rates. 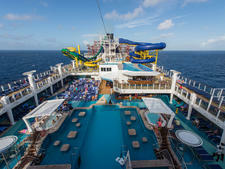 As such, travelers can participate in well-thought-out itineraries helmed by trained guides who can help navigate and maximize time spent ashore, where sensory overload and language barriers might otherwise overwhelm. 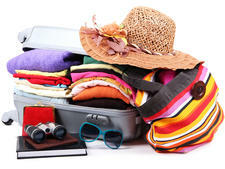 The growing demand for river cruise itineraries in the region has in fact left prospective travelers spoiled for choice. So which Asian river is the right fit for you? In this easy-reference guide to river cruises along Asia's Yangtze, Mekong and Irrawaddy rivers, you can quickly compare what you'll see, who cruises where and other important trip-planning factors, like when to go and how long to plan for. What Will I See on an Asia River Cruise? Yangtze River: Asia's longest river, the Yangtze reaches from the heights of the Tibetan Plateau and spreads across the entirety of China, before emptying out into the East China Sea near Shanghai. Sailings here are typically looped in as part of a longer cruisetour that incorporate land-based stays in Beijing (for sights like the Forbidden City and Great Wall), Shanghai (for the Bund and acrobatic shows) and Xian (with its Terracotta Army), too. 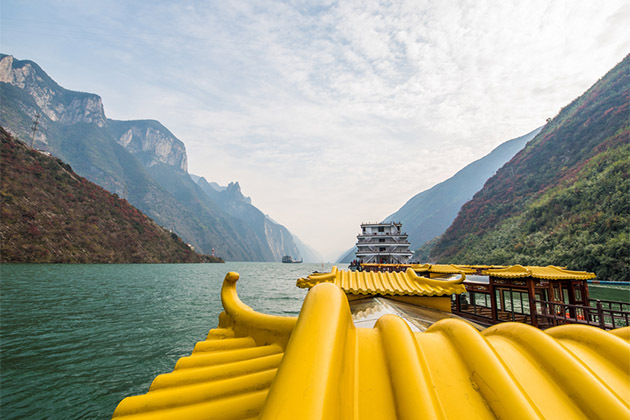 On the river portion of the trip, highlights include sailing through the scenic gorges and bamboo forests of the Three Gorges region, as well as visiting the engineering marvel that is the Three Gorges Dam. See Yangtze River Cruise Tips and China River Cruises for more. 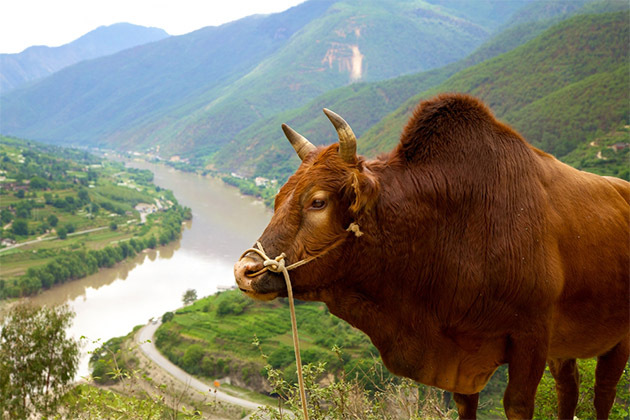 Mekong River: The mighty Mekong likewise begins in the Tibetan Plateau, flowing some 2,700 miles out to the South China Sea near Vietnam's Ho Chi Mihn City (formerly Saigon). A standard riverboat voyage here includes stops in Vietnam and Cambodia, on a route rife with viewings of wildlife, rice paddies and floating villages, and visits ashore to temples, monasteries and markets, as well as to sites significant to the region's troubled past, like the notorious "killing fields" of the Khmer Rouge regime (set outside of French colonial-influenced Phnom Penh). On cruisetour excursions, the river journey is typically combined with hotel stays and touring in Hanoi, Ho Chi Minh City and Siem Reap (gateway to the incredible Angkor Wat temple complex). If an extension is offered to the UNESCO-protected Halong Bay, with its mist-shrouded limestone pillars, strongly consider tacking it on. See Mekong River Cruise Basics and Vietnam River Cruises for more. Irrawaddy River: Tourism, long off-limits in Burma (Myanmar), thanks to decades of oppressive military rule, has been booming over the last few years, with an influx of riverboat options on offer along the Irrawaddy (or, Ayeyarwady) River. 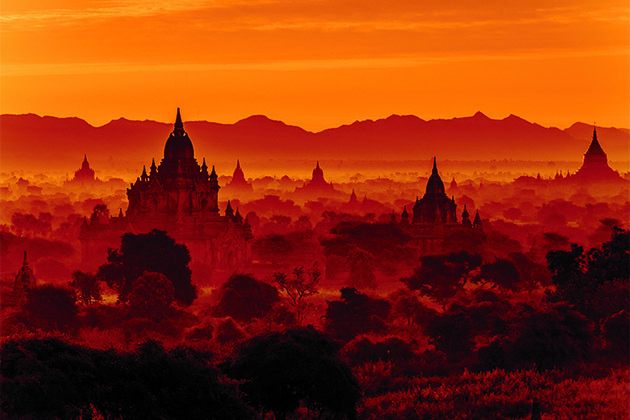 The Irrawaddy, dubbed the "Road to Mandalay," dissects the country from north to south before empting out into the Indian Ocean, linking several of Myanmar's key tourism destinations along its most popular route between the stunning stupa-studded landscapes of Bagan and the once royal capital city of Mandalay. Longer itineraries may also continue on to the nation's capital at Yangon, with its gilded pagodas and bustling markets and monasteries; or venture instead onto the Chindwin, the Irrawaddy's largest tributary that leads to a slate of lesser-visited villages, temples and cave pagodas. 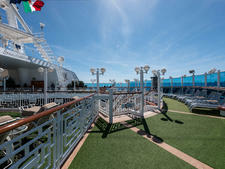 Lengthier cruisetour itineraries might include hotel stays in spots like Yangon or Inle Lake. See Burma River Cruise Basics and Burma River Cruises for more. Yangtze River: On the Yangtze, sign up with a river cruse operated by Abercrombie & Kent, Avalon Waterways, Grand Circle Cruise Line, Uniworld, Sanctuary Retreats, Tauck, Victoria Cruises or Viking River Cruises. Note that cruise lines typically charter vessels from Chinese companies; for example, Avalon, Uniworld and Viking all charter from Century Cruises, while Tauck and Abercrombie & Kent run their sailings on the Yangzi Explorer, owned by Sanctuary Retreats, which also does sailings. Victoria Cruises is the sole American company to own and operate its own vessels on the waterways. Mekong River: On the Mekong, look to Abercrombie & Kent, AmaWaterways, Aqua Expeditions, Avalon Waterways, CroisiEurope, CruiseCo, Emerald Waterways, G Adventures, Haimark, Lindblad Expeditions, Pandaw, Scenic, Uniworld, Vantage Deluxe World Travel and Viking River Cruises. Note that Uniworld charters from Pandaw River Cruises; Linblad charters from a Vietnamese company called Heritage Line; and Abercrombie & Kent, Emerald Waterways and Vantage charter their vessels from Chicago-based Haimark, which launched in 2013. Irrawaddy River: The offerings on the Irrawaddy have swelled considerably in recent years. Try Abercrombie & Kent, AmaWaterways, Avalon Waterways, Ayravata Cruises (aka Paukan), Belmond (formerly Orient Express), CruiseCo,Emerald Waterways, Haimark, Pandaw River Cruises, Sanctuary Retreats, Scenic, Strand Cruise, Tauck, Vantage Deluxe World Travel and Viking River Cruises. Note that both Emerald Waterways and Vantage charter from Haimark; Tauck charters from Belmond; and A&K charters from Sanctuary. Yangtze River: Most Yangtze River sailings are sold as part of eight- to 20-night comprehensive cruisetour packages incorporating land-based hotel stays in Shanghai, Beijing and usually Xian (that may sometimes be extended to visit Chengdu, Guilin, Hong Kong, Lijiang or Lhasa in Tibet). The cruise portion of the trip is typically three (between the cities of Chongqing and Yichang) to five (between Chongqing and Wuhan) nights in duration. 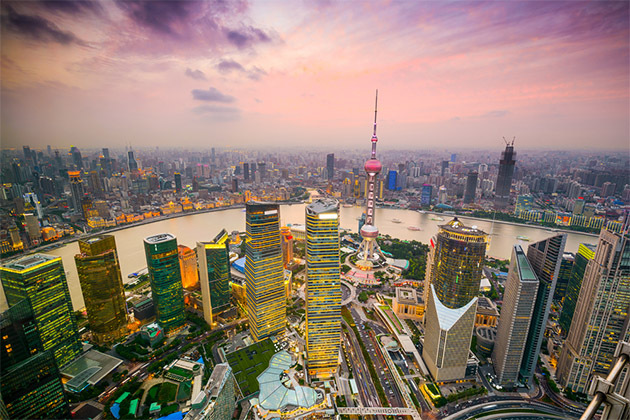 A limited number of cruise-only three- or four-night voyages are also available on Victoria Cruises and luxury Sanctuary Retreats, while Victoria also offers some longer cruise-only variations, like a six- or eight-night sailing between Chongqing and Shanghai. Mekong River: The majority of Mekong River cruises are likewise sold as part of longer cruisetour itineraries, incorporating river cruises with hotel stays on land. They typically run two weeks or longer and start and end in Vietnam (from Hanoi to Ho Chi Minh City, or vice versa), and include hotel stays in Hanoi, Ho Chi Minh City and Siem Reap, and a weeklong sailing on the Mekong. There are also a handful of cruise-only options (like on Avalon Waterways) that run about a week in duration, and sail between Siem Reap and Ho Chi Minh City. Irrawaddy River: The most popular river cruise offerings are shorter three- to four-night itineraries between the two cultural powerhouses of Mandalay and Bagan, while several companies also offer longer seven-night voyages between Bagan and Yangon (or to the city of Pyay, in between). Longer 11- and 12-night voyages may cover the upper, gorge-lined sections of the Irrawaddy, from Mandalay and Bagan to Bhamo (near the Chinese border), while more recently, some upscale vessels have begun offering journeys on the lesser-visited Chindwin River tributary, bringing guests as far north as Homalin (near India). Two-week or longer cruisetour itineraries may also include hotel stays in spots like Inle Lake or Yangon. Regardless of the length of the trip, tour itineraries usually loop from and back around to Yangon, site of the country's main international airport. When is the Asia River Cruise Season? Yangtze River: Yangtze River sailings are generally scheduled from April through October with the most agreeable temps in spring and fall (April-May; September-October); summer rains can be torrential at times. Mekong River: While Mekong River itineraries are offered year-round, winter (November-February) proposes cooler temperatures and dry skies. Be aware of rainy season from May through October, though rains usually pass at quick intervals. Note that portions of itineraries can be affected by seasonal water levels on the waterways. Irrawaddy River: The prime sailing season on the Irrawaddy is from September through April. Myanmar's dry season, between November and February, delivers the most pleasantly cool temps, too. Monsoon rains paired with high humidity are forecast from late May through October. Longer journeys that are dependent on higher water levels run in the rainy season, to Bhamo (in August and September) or along the Chindwin River (July-September).